Consumers Union, the advocacy arm of Consumer Reports, is pleased to submit these comments to the U.S. Food and Drug Administration (FDA) on its proposed rule implementing portions of the landmark FDA Food Safety Modernization Act of 2011 (FSMA) related to growing and harvesting of produce. 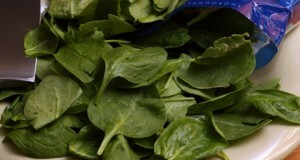 One of the key events that led to passage of FSMA was the contamination of bagged spinach in 2006 with deadly E. coli 0157:H7 that caused hundreds of illnesses and three deaths nationwide. Ultimately, the deadly bacteria were traced back to one small growing area in northern California, focusing attention on the need to set standards for farming practices to prevent human illnesses. This need was painfully reinforced by the 2011 Listeria outbreak linked to a Jensen Farms cantaloupe packing facility, which resulted in 33 deaths—one of the most lethal known foodborne illness outbreaks ever. • FDA should not exempt foods “rarely consumed raw.” The profound difficulty of identifying such foods accurately is illustrated by the fact that FDA includes kale and figs on its “rarely consumed raw” list—both of which are frequently consumed raw in the New York City area where Consumers Union is located, as well as elsewhere. • FDA should require final product testing of high risk produce as a method of ascertaining whether a farm or packing facility’s food safety plan is effective. Had such testing been in place at Jensen Farms, the presence of Listeria would likely have been identified and many deaths averted. • FDA should not sanction application of sewage sludge on agricultural land. We support FDA’s decision to focus at this time on pathogen control in this regulation, even though FSMA gives them authority to take chemical hazards into account. However, new data on lead and other heavy metals, as well as unregulated synthetic organic chemicals, in sewage sludge is so concerning, especially considering that heavy metals accumulate in the soil with repeated applications, that we recommend that FDA not sanction sewage sludge applications in this rule. • FDA should alter its proposal for application of untreated manure to agricultural land from requiring nine months between application and harvesting of a new crop, to four months, as is currently required in the National Organic Program. Because the scientific data on survival of pathogens in untreated manure applied to farm land is so limited, and because some studies suggest that FDA’s nine-month standard could have negative as well as positive effects on overall pathogen prevalence, we believe that the longer interval should not be required, pending further research.